Hi there! Welcome back for the Taylored Expressions RELEASE!! That's right! All of the products we've been featuring are NOW AVAILABLE in the TE Store!! Hopefully you're loving the new products as much as we are!! Today I have two projects for you and they both feature the same die. . .the Band It Die. 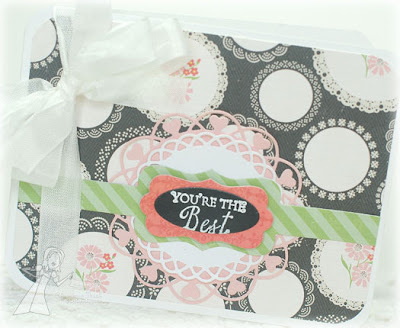 I just LOVE this die because it makes it very simple to create a clean and simple card with a little something extra. For my first project, I created a wedding card. I started by using the Birch Tree Cutting Plate for the background. 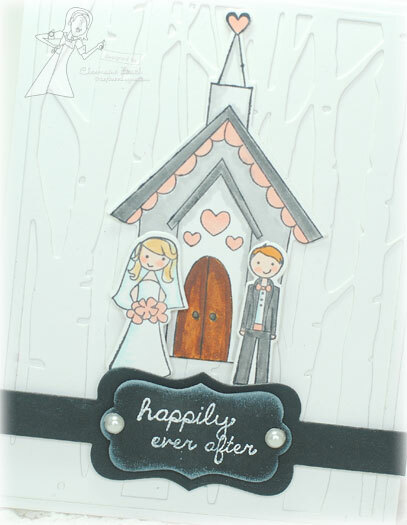 I thought the "white forest" would add to the fairytale look of the chapel and bride and groom. 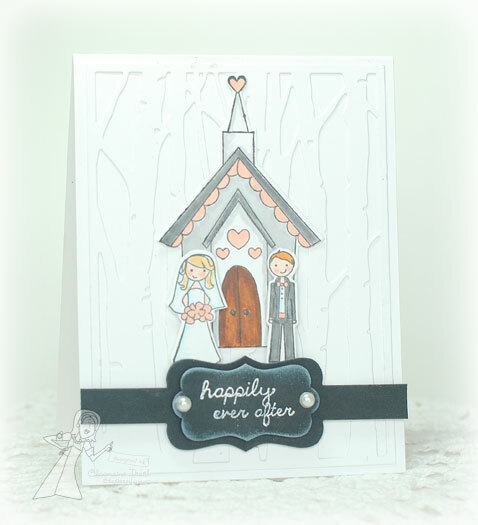 The images and sentiment are from the Going to the Chapel set, which by the way comes with coordinating dies!! I die cut the band out of black cardstock using the Band It Die and stamped the sentiment in white onto the layering piece that comes with the die. I inked some white around the edges to make it stand out a little more and added a pearl on each side. For my second project, I created a card that is a little more colorful and horizontal as opposed to vertical like the first card. The papers are from the For the Record 2 Tailored Collection from Echo Park. This time, I die cut some of the patterned paper with the Band It Die and used both layering pieces of the die. 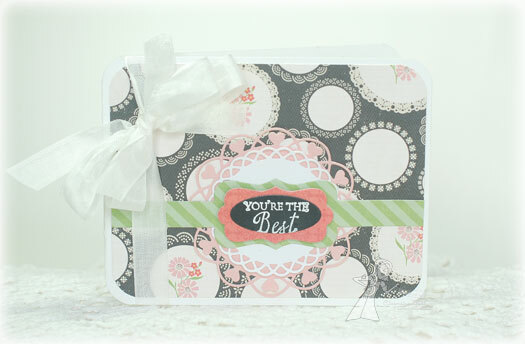 I also layering the Small Layering Doily Die and Medium Layering Doily Die behind the sentiment. The sentiment is from the Greetings For Him set. I rounded the corners and finished the card with some seam binding. I love how the Band It Die works for both vertical and horizontal cards!! 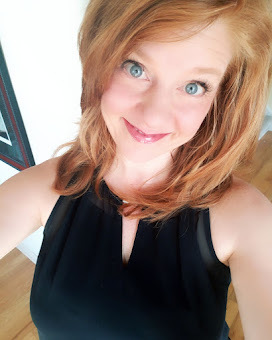 I hope you've enjoyed today's projects! 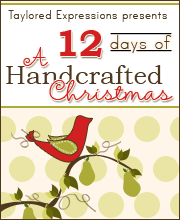 Be sure to see what the rest of the Baker's Dozen has to show you today! Thanks for stopping by and HAPPY SHOPPING!! These are gorgeous Charmaine! I really love the sponging around the black paper on the first card - that's a wonderful touch and your fabulous layering on the second is PERFECT! Wonderful cards, Charmaine! Love the chapel and couple with the white forest behind them! Such pretty cards!! Thanks for sharing. I just love how you added the chapel over the birch tree die cut on the first card, Charmain, and your second card with the beautiful paper and band it die cut looks fantastic!! !